The professional & friendly dog care service. My name is Karen and my company is called Whoof Whoofs. Whoof Whoofs has been established to cater for all your doggie needs whilst you, their owners, are unavailable. I have a passion for horses and dogs and have over 20 years experience working with them. I offer all the dogs in my care lots of love and attention as if they were my own. Whether they are having an hours walk in the woods or a weeks sleep over you can be sure to have peace of mind your dog is in good experienced hands. 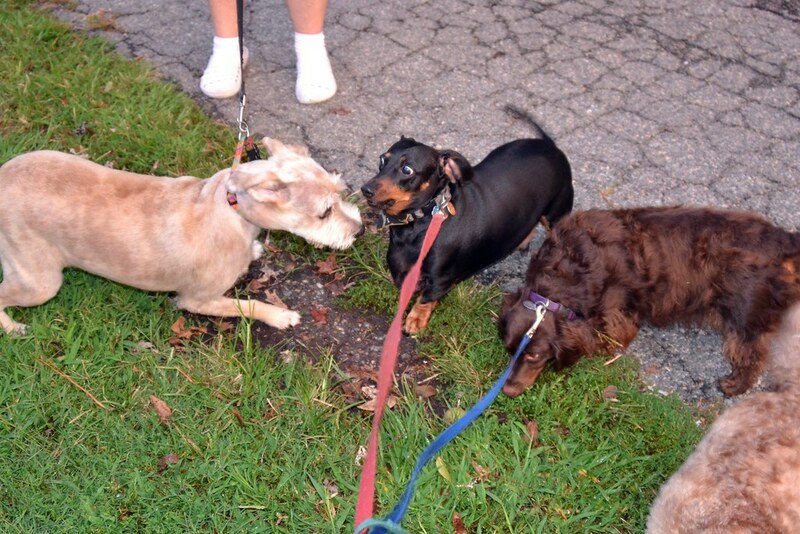 I provide walks on a group basis, with a policy of a maximum of 4 dogs at one time. I believe this is an important policy such that I can ensure the safety of all dogs and give each dog the attention they deserve. I also provide individual or tailored walks to suit your dogs age or training needs. I will look after your dog for a 7 hour period. In that time your dog will get lots of exercise, there is a fun agility course and plenty of ball games. In the summer months we have a shaded area and a fun play pool for the dogs. There are also plenty of comfy beds and areas for you dog to chill out inside as well. The hours of day care can be tailored to suit your needs, should it differ to the standard 7 hours. Whether you are off on a holiday or away for a night, I provide overnight care in my own home and your dog becomes part of the family. If you are unavailable during the day, I will come to your home to provide company, comfort breaks, clear up any little accidents, provide short walks for older dogs or administer medication. I am happy to tailor your home visit to suit the needs of your dog. I am able to take your dog to vets appointments on your behalf, trips to the groomers or provide any other transportation needs. If your area has not been mentioned please feel free to ask as I will always try my best to accommodate, where possible.